Definition at line 1343 of file CCopasiXMLParser.h. Definition at line 1351 of file CCopasiXMLParser.h. Definition at line 2236 of file CCopasiXMLParser.cpp. Definition at line 2242 of file CCopasiXMLParser.cpp. Definition at line 2339 of file CCopasiXMLParser.cpp. 2398 // due to incomplete model specification at this time. 2416 // due to incomplete model specification at this time. 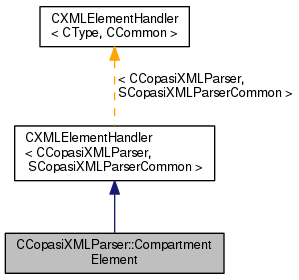 Definition at line 2245 of file CCopasiXMLParser.cpp. 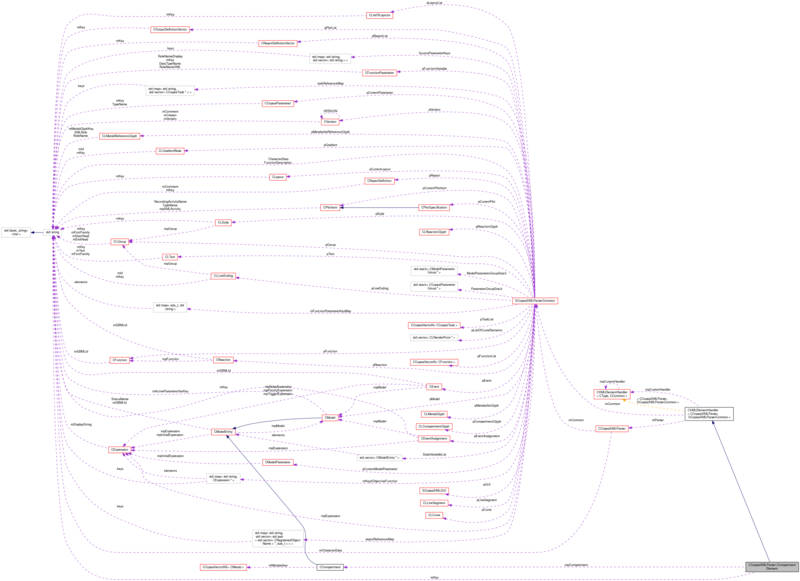 References CCopasiVectorN< CType >::add(), CCopasiMessage::EXCEPTION, CModelEntity::FIXED, CModel::getCompartments(), CCopasiXMLParser::mCommon, MCXML, CExpatTemplate< CExpat >::mParser, SCopasiXMLParserCommon::pModel, strToUnsignedInt(), toEnum(), UNKNOWN_ELEMENT, and CModelEntity::XMLStatus. Definition at line 1397 of file CCopasiXMLParser.h. Definition at line 1392 of file CCopasiXMLParser.h.